My Rotary host father, Alan asked if I could help the Pine Rivers Rotary Club at the Pine Rivers Show which is a three-day family friendly event that is filled with food, attractions, competitions, rides, and showbags! This actually is the last show of several that happen around Queensland before the Ekka that will begin next week. I had no clue what the ‘show’ was and was so happy I volunteered. It gave me a sneak peek into what I will experience at Ekka but only at a grandeur scale. 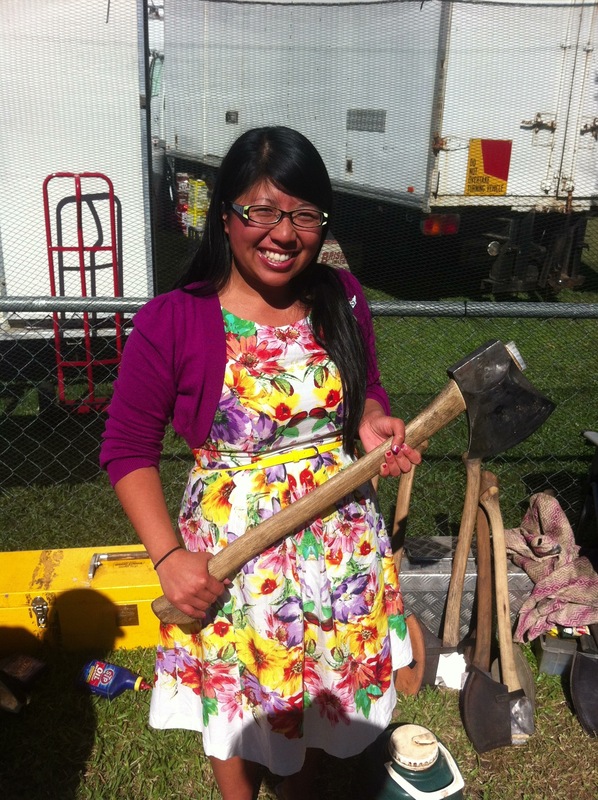 The biggest surprise I encountered was the woodchopping competition! 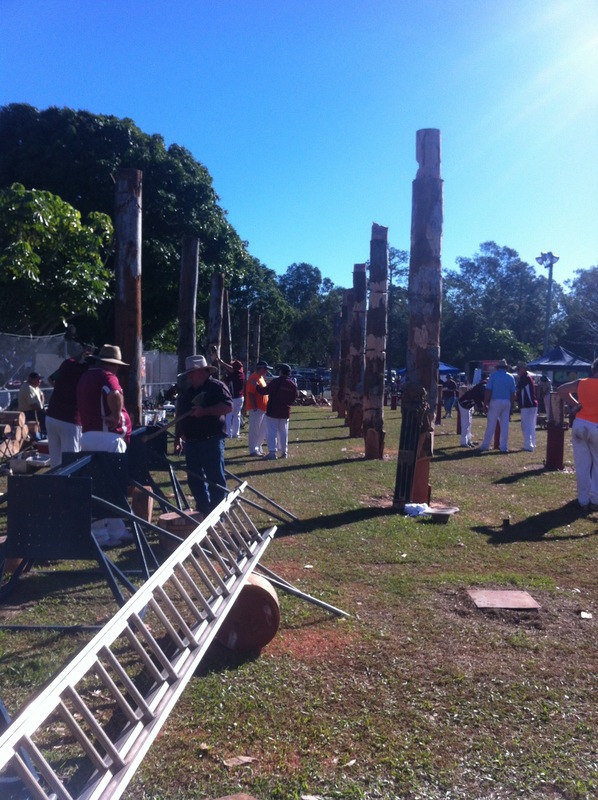 I learned that there was a Queensland Axemen Association which is the controlling body for woodchopping in Queensland. Woodchopping is one of Australia’s oldest sports that originated from the pioneering days when axemen cut trees for building materials and agricultural land. Woodchopping competitions began on picnic days between the men and turned into the sport that I saw for the first time! I was so lucky to hold an ax! The five classes of members are open members, novice, sawing, junior, and social members. In order to make things fair. Woodchopping events are conducted with handicaps in order to give all competitors an equal chance to win. They will compete in several events including standing block cutting, underhand cutting, treefelling, and crosscut sawing. My favorite is treefelling (I tried to upload a video but I couldn’t. Can anyone help??) because the competitor must make a cut into the tree six times and use a springboard to climb up the tree to severe the block on the top. It takes a lot of skill, agility, and precision. Back in the day, axemen had to access trees in the forests that were very tall to clear tree trunks. I was so fortunate to speak with a competitor and hold his axe! The competitors have several axes that fit with the type of wood they will chop. Not only are the axes heavy, the are quite expensive! The competitors are very fast so the event itself can be less than two minutes. I was so impressed and really enjoy learning about a new sport in between selling fresh sandwiches, sweets, coffee, and tea. 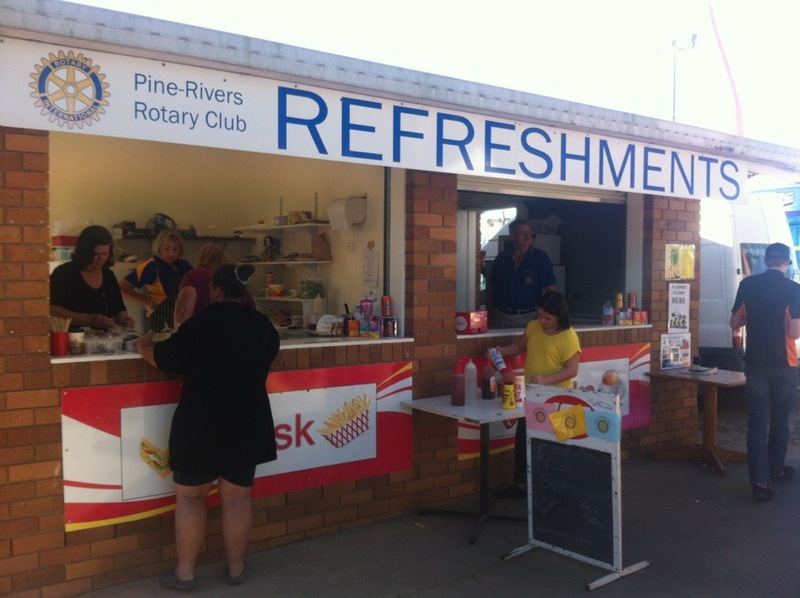 The Pine Rivers Rotary Club supports the show every year and actually built the building where we sold our sandwiches, fish and chips, and sweets. Pine Rivers uses this opportunity as a fundraiser for their community project. Many members and their spouses come out to help and I love seeing how giving the Rotarians are and they come year after year. They are dedicated and I am so thankful that they included me in this special annual event. I’m off to EKKA on August 14th so I can’t wait to share what the mecca has in store. I need to figure out what these showbags are and have a strawberry sundae.